40 years . . . . really? I remember buying this album in the mid-70s with money from one of the first paychecks I ever earned. It was a double LP, I had sticker shock when I bought it, and I had it for years until it went missing during one of our many moves. 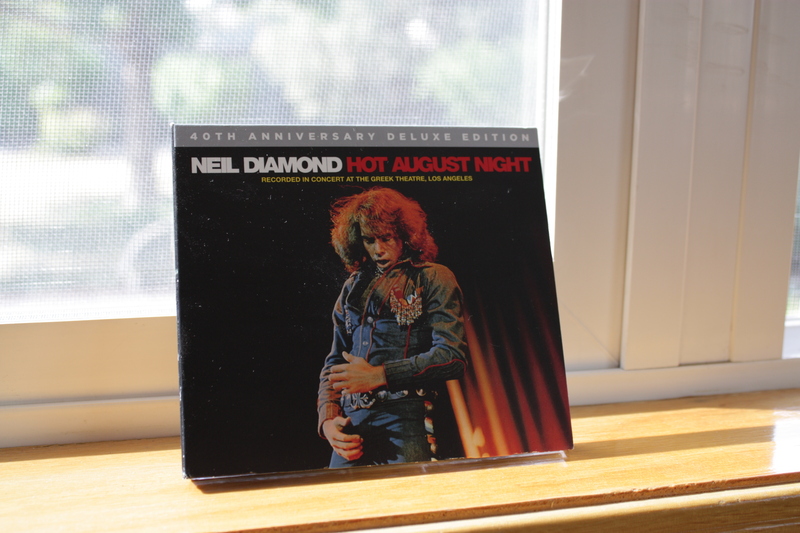 I still have Neil Diamond’s A Beautiful Noise, a Christmas present from then-BF Tina. We were shopping at Whole Foods today, and there it was, at the checkout stand. DH was so shocked by my impulse buy — because he can’t remember the last time I bought a CD, let alone make an impulse purchase that cost more than a couple of bucks — that he didn’t give me a hard time about it. About 25 years ago, I tried my hand at ratatouille — I believe it was a recipe from Mollie Katzen. It was an abysmal failure, but I don’t think it was the fault of the recipe itself; I just did not understand eggplants. So, for 25 years I have avoided eggplants — just as well, because DH does not like eggplants. Or squash. Or zucchini. Today, I made ratatouille, using a recipe from Greene on Greens, and it had eggplants, and squash, and zucchini . . . and DH liked it enough to have seconds 🙂 I love Bert Greene’s rambling expositions on vegetable lore, but the best parts of his book are his tips on what to look for in vegetables, how to store them, and how to do basic preparations. His recipes, like those of Deborah Madison, have not failed me yet. I altered the ratatouille recipe to take advantage of what I had from the boxes last week and this week: zucchini, squash, onion, green bell pepper, eggplant, heirloom tomatoes, corn. I threw in the corn because it wasn’t particularly sweet on its own, but I figured it would be OK baked with all the other veggies. Not traditional at all, but pretty tasty nevertheless!